This is a great negosyo idea here in the Philippines which I’m sure this will be a hit since we are in a tropical country. A company name Bag of Ice from the U.S. is targeting vending operators with a versatile line of machines that the company says are designed to make it simple to profit from selling ice. The compact venders come in four models — the smallest measuring 34” wide x 52” deep x 112” high — that produce quantities of ice equal to much larger machines, according to the company. This opens more doors for placement in high-traffic sites like retail storefronts where floor space is at a premium and ice vending is typically most successful. Strip malls, car washes, convenience and liquor stores, and large apartment complexes are among the sites Bag of Ice recommends for placing its machines. The machines offer a selection of 10, 16 or 20 lbs. of ice, which can be dispensed into a bag supplied by the machine that the customer hangs on the ice chute or into his or her own cooler. Bag of Ice venders do not offer an auto-bagging feature. The company said it finds the technology to be unreliable in smaller-footprint machines, and that eliminating them assures a higher vend rate and fewer maintenance problems. Vend prices range from $1 to $3, $1.25 to $4 and $1.75 to $6, respectively. Depending upon the model, ice bin capacities range from 300 lbs. to 1,500 lbs. with the ability to produce 1,250 lbs. to 3,720 lbs. of ice per day. The average cost of producing a 10-lb. bag of ice is 25¢, including bag and utilities, the company said. Insulation keeps ice frozen in the storage bin, eliminating the need for a refrigeration system, keeping the operator’s electric bill and maintenance costs to a minimum and reducing the machine’s environmental impact. Bag of Ice’s SmartTech cooling system recycles the cooler air and water back into the system for optimum ice-making efficiency. The venders can also be equipped to dispense purified water into the patron’s container in up to three different portion sizes. The average vend price is 25¢ to 50¢ for one gallon; 50¢ to $1 for three gallons; and $1 to $2 for five gallons. The cost to the operator to produce the pure water is about 1/2¢ per gallon. The machines feature Hoshizaki icemakers, which are supported by a network of factory-trained representatives that can service machines throughout the U.S. The ice augers, beater bars, and storage bins are made of food-grade stainless steel. The machine frame and cabinet are built with heavy-duty, corrosion-free aluminum for outdoor placement. They can be customized to match an existing facade or to meet local regulations. Bag of Ice said its machines incorporate few moving parts, which minimizes maintenance. Routine service includes collecting funds, cleaning the machine’s exterior and replenishing its bag supply. Beyond that, the equipment requires quarterly ice maker cleaning, replacing water filters as needed, cleaning coin mechanisms and bill acceptors weekly to monthly depending on the environment, and lubricating machine components annually. Be one of the first in bringing this innovation to the Philippines. How about a vending machine inside a taxi? Where can i purchase this machine in manila..tnx please email details..
Cab you please send details how I can start this business. all we provide here are ideas and we don’t endorse any products but you can visit the link on the bottom, they are the provider of this machines in the states. Is there a vending machine for sale here at Philippines? 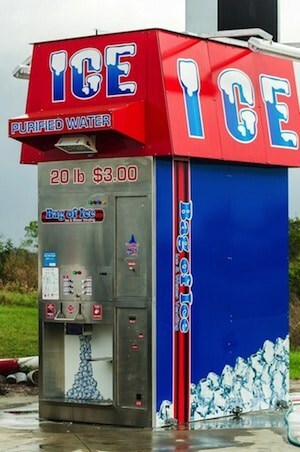 or where can we purchase this machine? Is there anyone who franchise this kind of business? Please email me how much it cost and where we can buy this? is the equipment available already in the philippines? can you please send me details of this. is it available here in cebu? 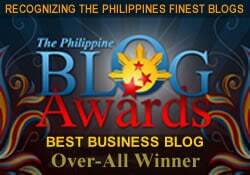 Do you have office here in the phillipines?where we can nquire the bhusines. How can I purchase dis machine do we have here in Manila? How can I purchase?how much is this? Can you give me details of this machine, and is it available here in the philippines. How much will this cost and where can I purchase this?? Where can I purchase this machine? please send details where to buy, how much. Let me know cost and what about the water there? Is it purified ice safe for drinking?